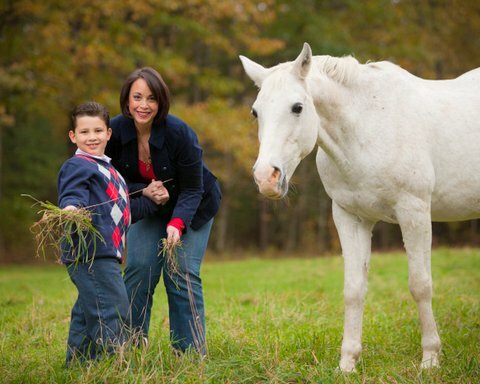 Our story began at Windrush Farm after searching for nontraditional treatments to help my son, Dylan, who was diagnosed with a form of Autism and was nonverbal. I attended a Farm Day at Windrush Farm, during which they were having pony rides. Dylan had never been on a horse before but we gave it a try. As I watched him go on the bumpy pony ride I heard him say, “SO FUN”. I began to cry, uncontrollably I may add, because it had been over a year since I had heard him speak. This was the breakthrough that Dylan needed and to be honest, what I needed as his mother; to believe that there was something out there to help him. Doctors told me there was nothing that would help him aside from traditional therapy and this is the way he would be for life. Dylan has been riding at Windrush Farm for years now. He is a very happy eight year old who no longer has Sensory Processing Disorder or low muscle tone. He is verbal and physically strong. He is able to ride independently now with minimal support. He is able to love and care for horses and he has learned what it takes to get the horse ready to ride. The bond between horse and human is undeniable. 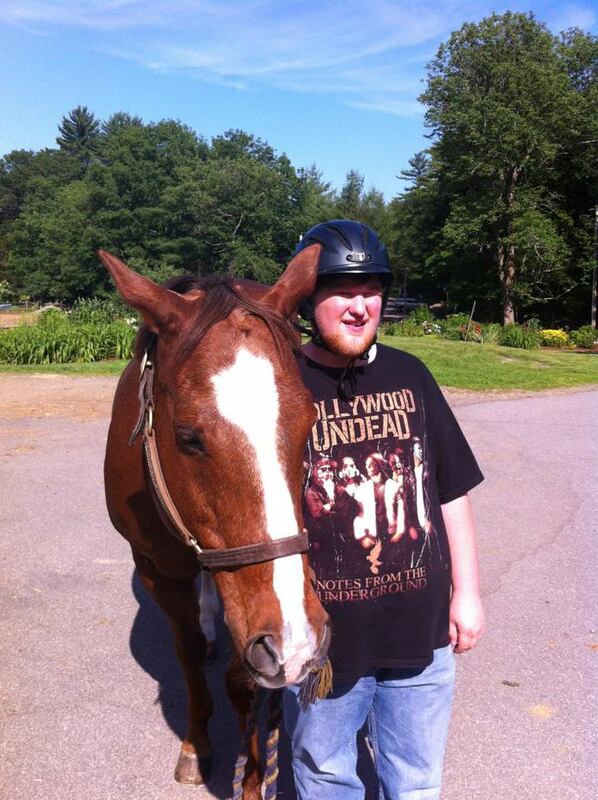 He has flourished socially and enjoys talking to people and telling them about horses. This is a huge accomplishment for Dylan; something that seemed so far out of reach and unattainable. Dylan has proved to so many, including myself, that with the right “team” of supporters anything is possible. Riding at Windrush Farm has changed my son’s life! Everyone that works or volunteers there truly loves what they do and it shows. 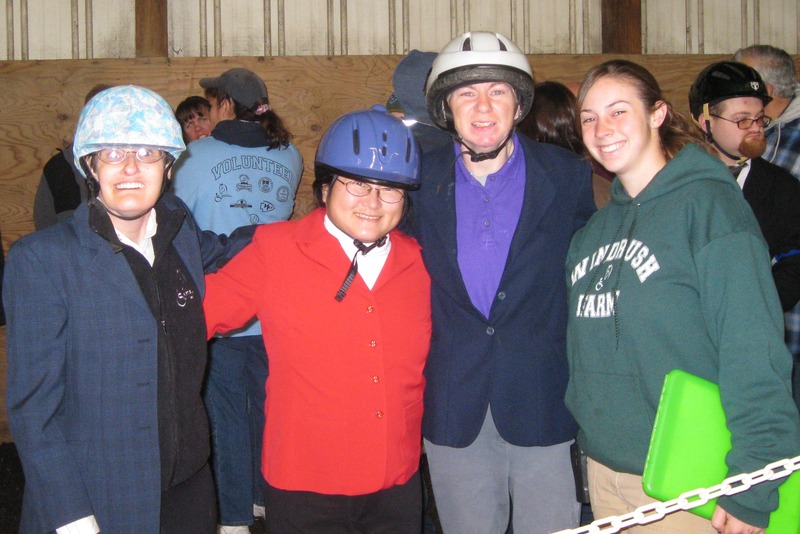 The changes I have seen in my son over the years prove to me that Windrush Farm is more than just horseback riding. I can’t even begin to express the gratitude I feel in my heart for all they do there. My wish is that all children with special needs will be able to have the opportunity to benefit from what Windrush has given my son. His life and mine have been forever changed. Windrush Farm is that beacon of light in the dark and we can’t imagine our lives without them. 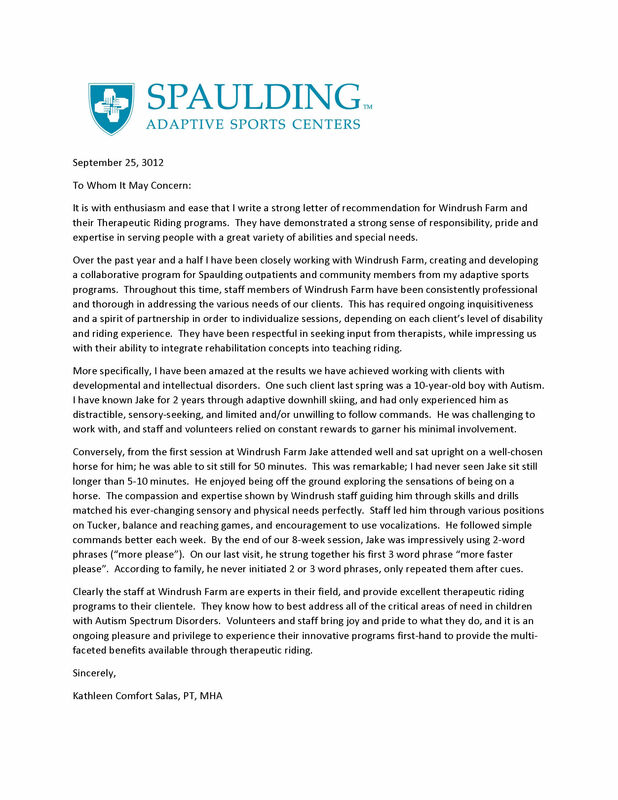 Check out this awesome letter from Spaulding Rehabilitation Network about their time spent at Windrush Farm. Logan Nyman, 17, is an artist. His spare, linear drawing of a horse and his striking skull-and-crossbones motif adorn merchandise of Paper Clouds Apparel, a company founded both to showcase the artwork of people with special needs and to raise funds for the organizations that support them. Paper Clouds Apparel, which also employs adults with special needs, donates 50% of profits back to the organizations that supply the original art. Thanks to Logan and his family, as well as co-artist Bug, also known as Connor, Windrush Farm’s recent Paper Clouds fundraiser was a tremendous success, garnering an amazing $2,400 for the farm. These much-needed funds will provide for the horses Logan loves and strengthen the programs that benefit the entire Windrush community. Since that first drawing, Logan has continued to generate images in his signature graphic style. Paper Clouds will once again reproduce some of them on t-shirts and other items in October and December. Check out Paper Clouds Apparel (http://www.papercloudsapparel.com/) or follow Allyson’s blog (http://thecrumbdiaries-curveballs.blogspot.com/) to learn more about Logan and the Paper Clouds Apparel project. 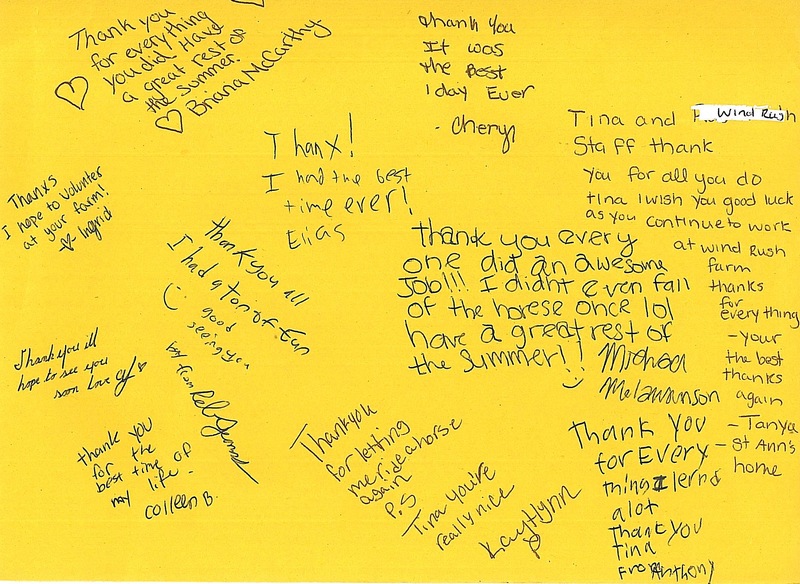 ❤ all these cute “thank you” messages from our Giddyup and Grow kiddos! We spent a nice, sweet, laid back afternoon at Windrush Farm with some amazing horses. I am behind our project with Paper Clouds Apparel more than ever. Walking through the barn I realized something. It’s not just the riding that’s so important to these kids. It’s more than that. The thing about horses is, they don’t judge you. They don’t discriminate, or tease, or gossip. They don’t shy away at the site of you, they don’t decide they don’t want to be your friend because you walk different or cannot speak clearly. They greet you with warm friendly eyes, and a loving heart. These horses have allowed a lot of special kids to ride on their backs, brush their fur, and hug their necks. They have listened to shared dreams, and kept secrets. They are quiet, gentle giants who just want to love. It was these very horses that helped Logan advance in his development, and I am grateful for that. Please check out the Paper Clouds campaign and see if you might want to buy one of the shirts with Logan’s drawing of one of the Windrush Horses. 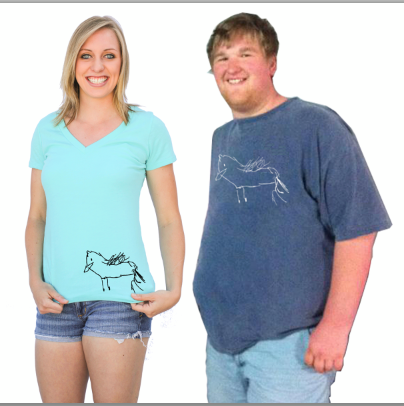 50% of shirt proceeds go right to the farm to help care for these wonderful horses. Every evening after she puts on her pajamas and brushes her teeth, and right before she dozes off, Heather Wilde says goodnight, one by one, to the horses of Windrush Farm. 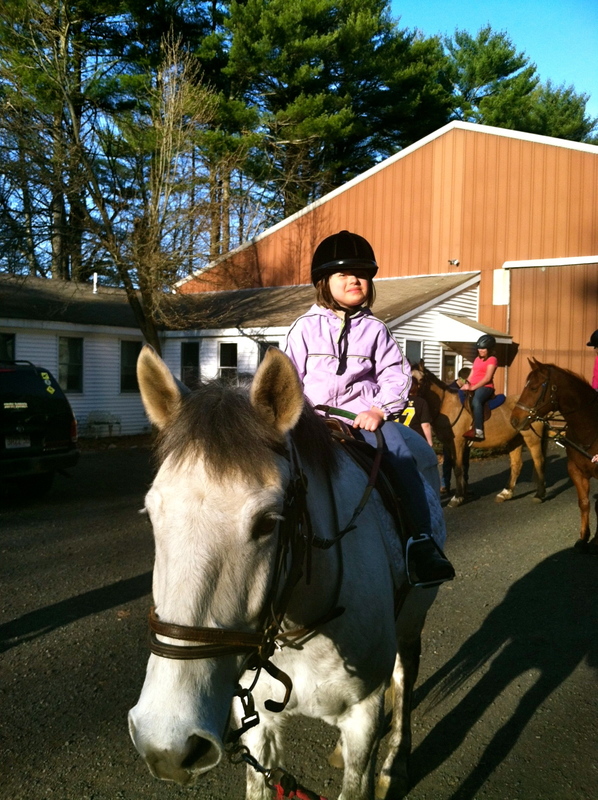 Heather began therapeutic riding at age five and started riding at Windrush two years ago, when she was seven. Many of her early lessons were on reliable, easy-to-steer Bucky. As Heather progressed, she needed a horse that offered fresh challenges.